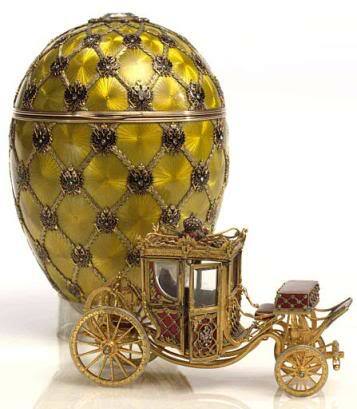 Faberges works were very expensive. 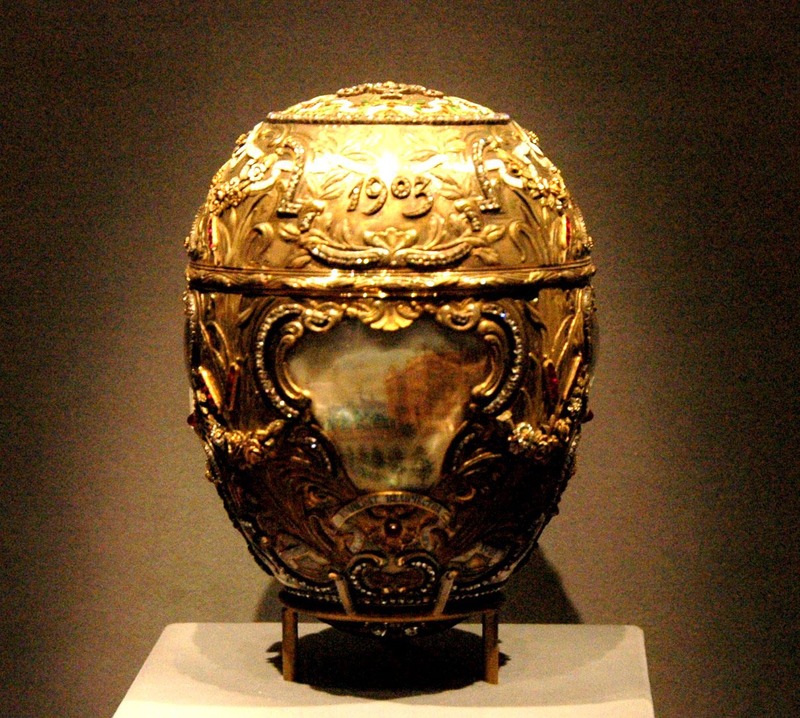 The original pre Bolshevik revolution eggs sell for millions of pounds. 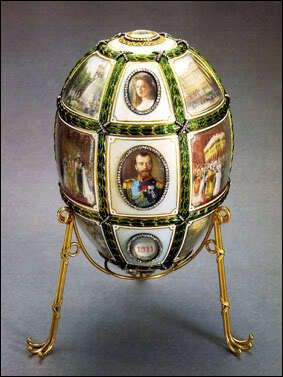 The eggs represents a imperial Russia. 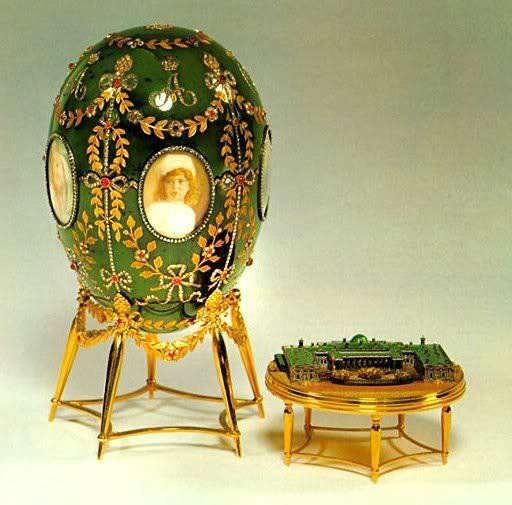 Tsar Alexander asked Faberge to create an egg each year and his son, the future Tsar Nicholas II., increased order to two eggs a year, one for his wife and one for the mother. 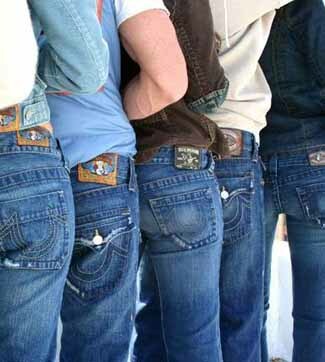 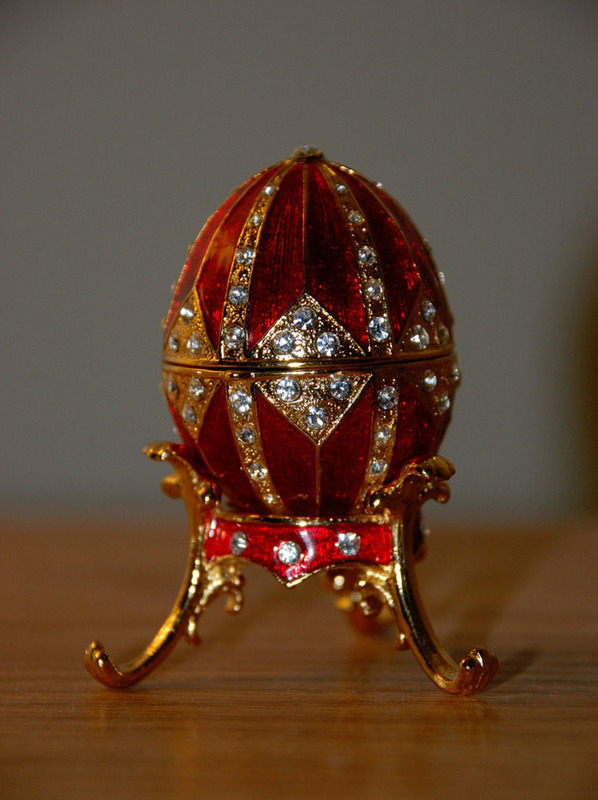 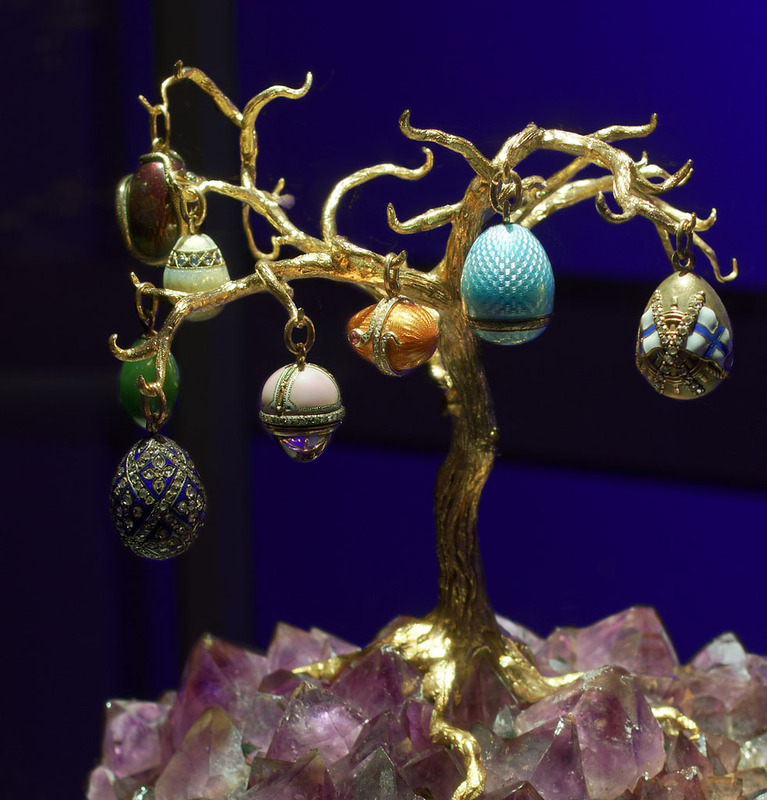 The eggs are made of precious metals or hard stones decorated with combinations of enamel and gem stones. 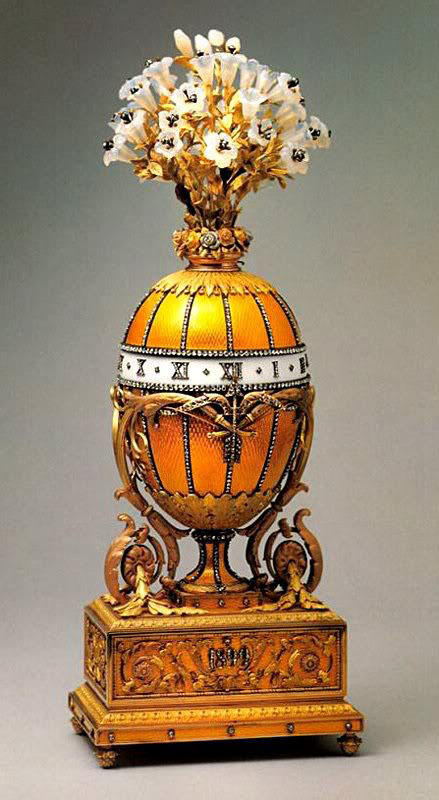 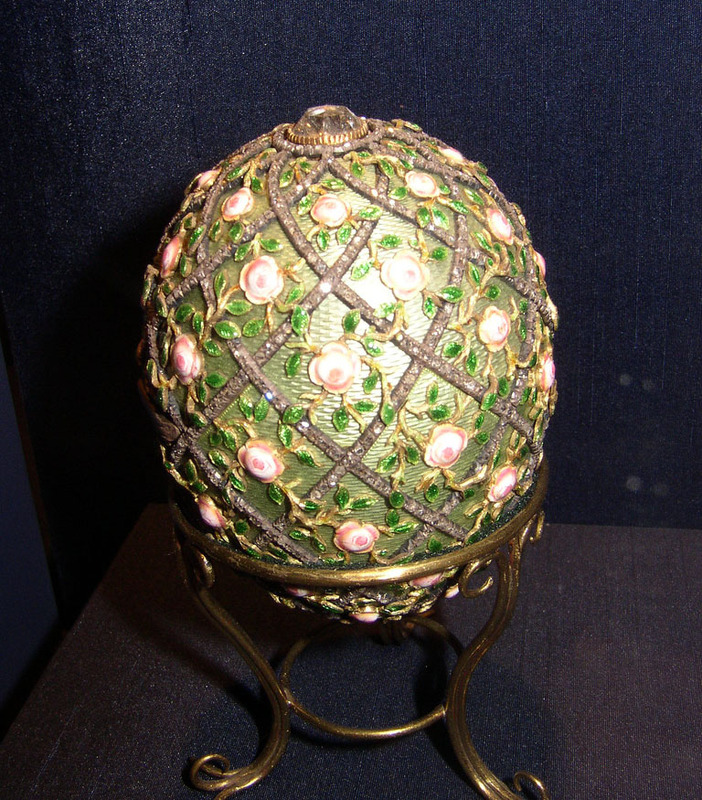 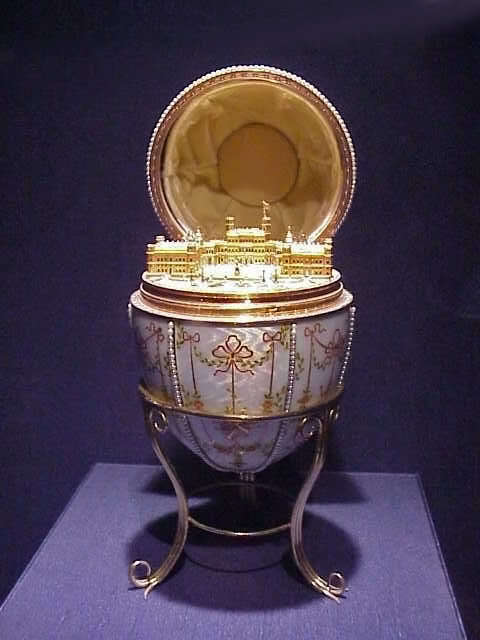 The term “Fabergé Egg” has become a synonym of luxury. 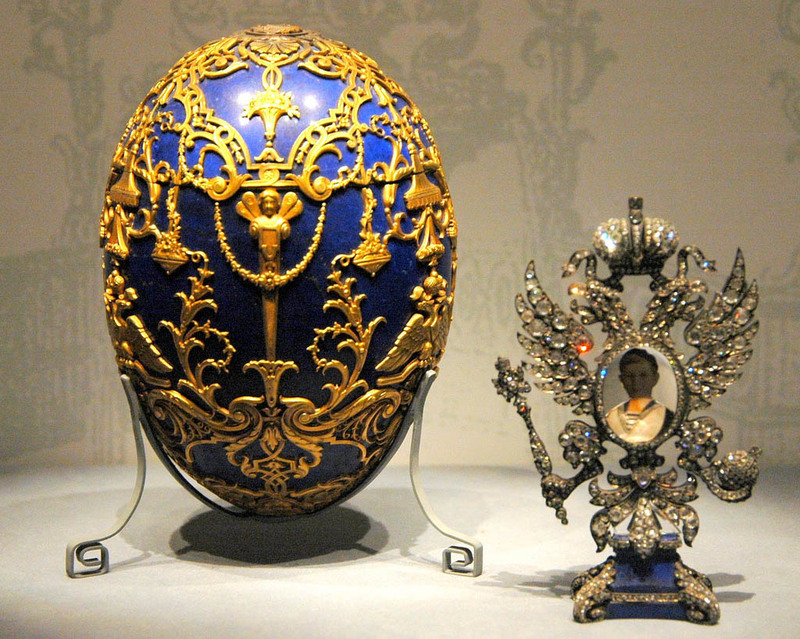 The largest Fabergé collection outside of Russia is at the Virginia Museum of Fine Art in Richmond, VA.